The Year 6 children had a wonderful time at Caythorpe Court, Lincolnshire on their residential PGL trip. 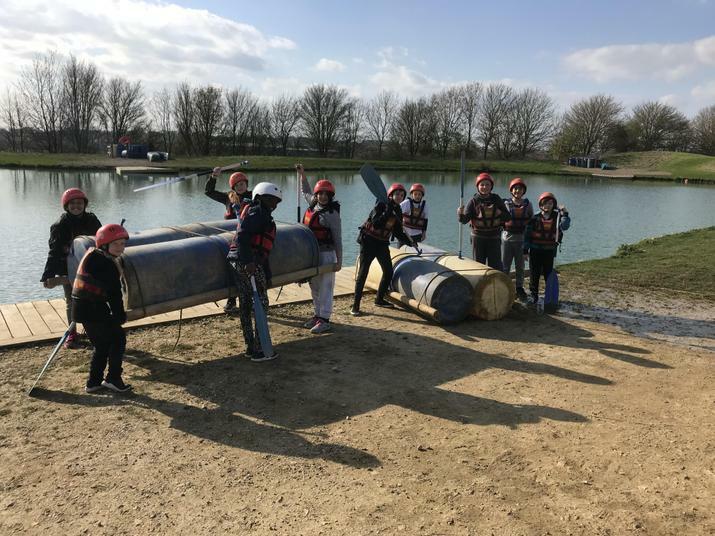 The intrepid pupils undertook a wide variety of team-building activities including raft building, giant swings, zip wires, archery and using a trapeze. Year 6 teacher and Visit Leader, Miss Chapman said, "It was a delight to see the children really supporting their peers and offering so much encouragement, especially when they faced some tricky challenges." Year 6 pupil Chloe added, "PGL was awesome. I really enjoyed all of the activities, particularly reaching the top of the climbing wall." All the staff accompanying the children were extremely proud of their general conduct and their 'can do' attitude.